This tutorial will show you how to insert a Flash movie into Dreamweaver. From the "Insert" menu, choose the "Media" submenu and choose "Flash". 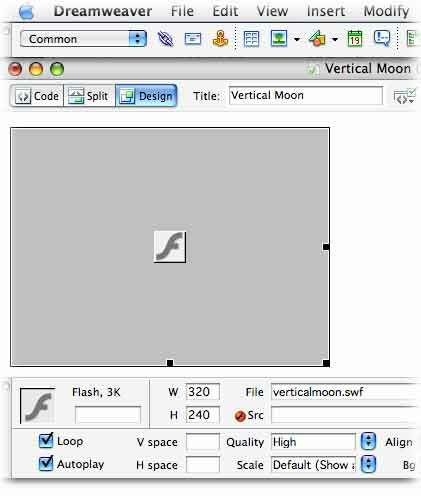 Dreamweaver will prompt you to choose the Flash (.swf) file you want to insert into the HTML page. Your HTML document should now display a gray box where the Flash movie will be displayed. If you do not see the following, make sure you are either in Design or Split mode for your document.